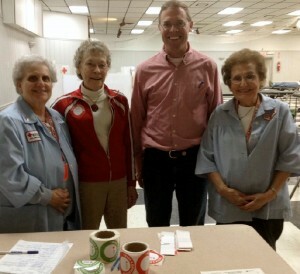 Assemblyman Will Barclay was joined today (May 3) by 30 local volunteers who came out to donate blood to the Red Cross. The successful drive was held today at the Elks Lodge in Oswego. “Thank you to everyone who came out. It was great to see some familiar faces and to meet new ones as well. 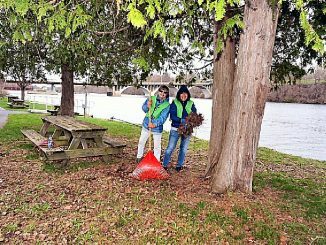 I am particularly grateful for professional staff at the Red Cross and to all the volunteers who gave so generously of their time,” said Barclay. Barclay is pictured with long-time Red Cross volunteers Delores Fitzgerald, Fran Wadas and Frances Enwright.